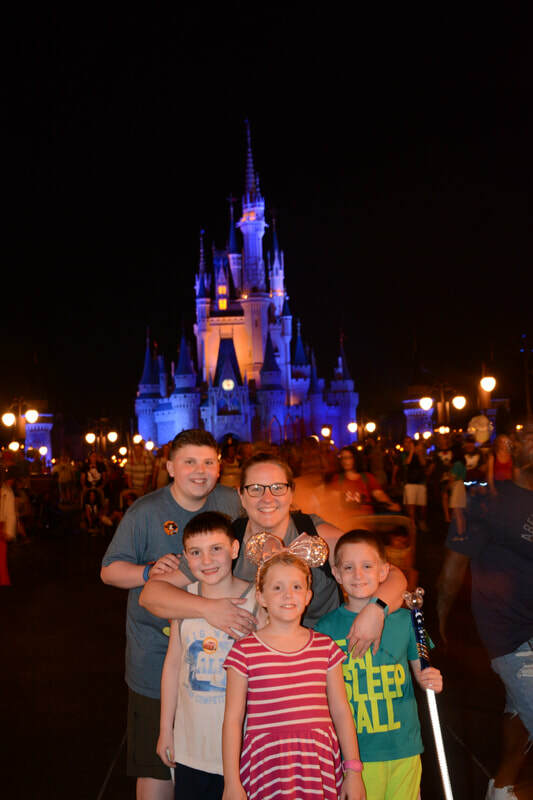 Ms. Chase with her 3 nephews & niece in Disney! Ms. Mindi Chase was born and raised in Aurora, IL and was a percussionist and pianist at West Aurora High School. She participated in several Fox Valley musical ensembles including the Aurora Legion Band, Fox Valley Pit Orchestra and the Illinois Ambassadors of Music. As a percussionist, she was a member of the IMEA All-State Orchestra in 1997 and the IMEA Honors Band in 1998. Ms. Chase earned her Bachelor of Music Education degree with highest honors from the University of Illinois-Urbana/Champaign in 2002. During her time at U of I, she was the recipient of the Thomas Smith full music scholarship and studied percussion with Thomas Siwe, Ricardo Flores and William Moersch. She participated in several ensembles including the U of I Percussion Ensemble, Steel Drum Band, Wind Symphony, and Illini Symphony. Ms. Chase received her Masters Degree of Music Education with high honors from Vander Cook College of Music in 2007. Since 2002, she has developed the band program in Newark and also teaches band at Newark High School’s feeder schools, Millbrook Jr. High and Lisbon Grade School. Under Ms. Chase’s direction, the Newark High Band has performed at New Orleans (2017), Disney World (2007, 2011 & 2015 ), Graceland (2009), Country Music Hall of Fame (2009), New York City (2013), and at a Chicago Wolves game (2014 & 2018). Ms. Chase currently resides in Plano, Illinois and continues to cheer on her beloved Illini. Ms. Chase LOVES Newark Band.